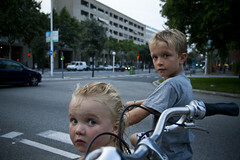 The holiday with me and my kids to Barcelona involved a lot of 'bicycle commuting', or whatever it's called. Back and forth to the beach at Bogatell each day. Lulu in the box of the Bakfiets and Felix on his own bike, a one-speed. 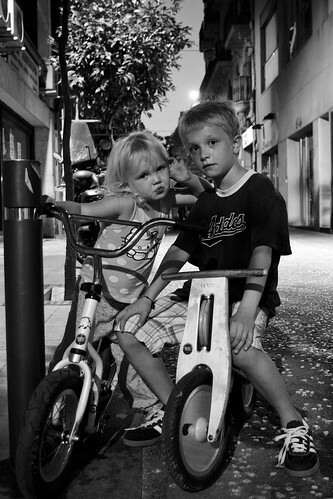 Both provided by our friends at Bike Gracia, Barcelona's coolest bike shop. Run by a Dutchman, of course. There was shooting and filming along the way but my two kids provided a little Kodak moment for Daddy whilst waiting for the light near the Arc de Triomph. At left: Heading out for dinner one evening in the Gracia neighbourhood. 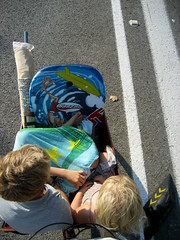 At right: Heading home from a day at the beach one evening. 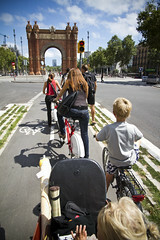 View from the bike lanes of Barcelona. At right: Felix in the box of the Bakfiets before we got hold of his own bike. Barcelona Support Vehicle. 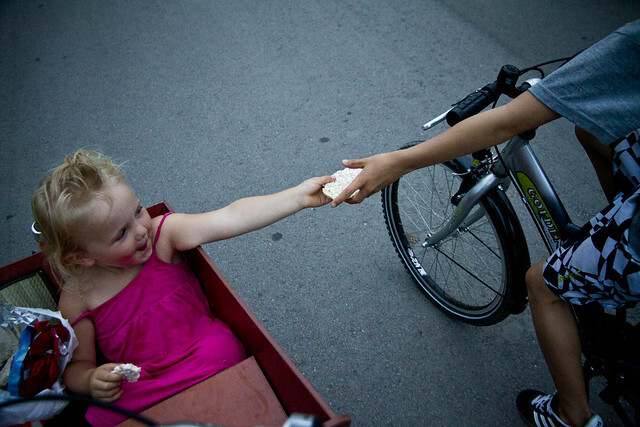 Lulu handing a rice cake to Felix on the way home from the beach one day. Evening transport in our neighbourhood. 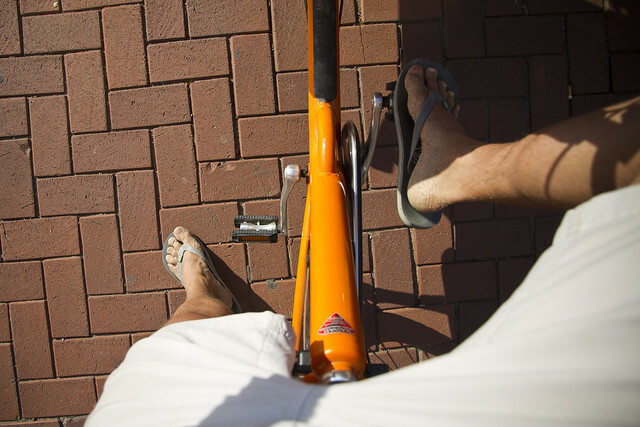 Bakfiets and flip flops. Together at last. 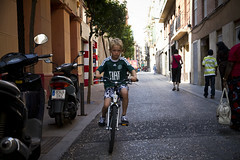 Effective even up the hill on the way home to Gracia and up to Park Guell. 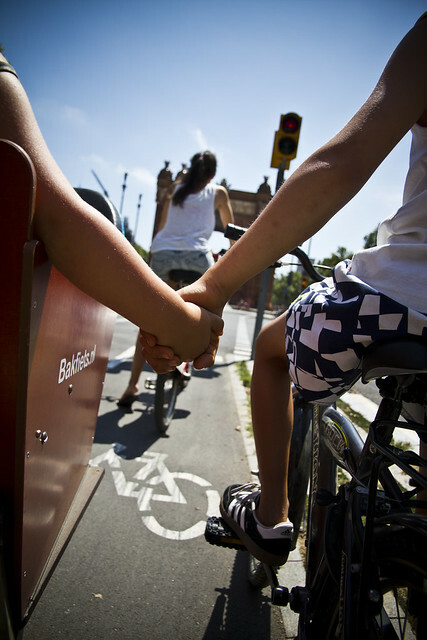 Here's a previous post about our trip to Barcelona: Liveable La Vida Liveable in Barcelona.